Are you planning to go for teeth whitening procedure? If yes, then you must discuss the side effects of both in-office and at home bleaching procedure with your dentist. In totality, the teeth whitening procedure is safe but since there are chemicals involved that one need to be careful. 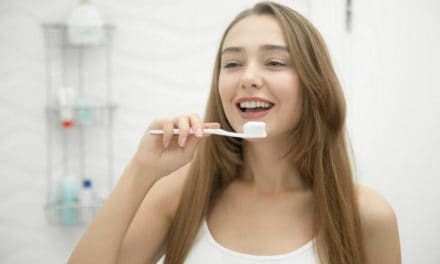 For instance, peroxide-based bleaching products are used to whiten teeth and therefore, there could be potential side effects associated with the procedure. Some of the common side effects that could be caused by teeth whitening are tooth sensitivity, gum irritation, uneven whitening, etc. Your teeth may feel sensitive during and after the procedure. Depending on the severity of sensitivity your dentist will decide whether to cut short your bleaching session or not. If your teeth feel sensitive, communicate with your dentist so that he/she knows the problem and takes appropriate measures. Tooth sensitivity after the procedure ranges from mild to moderate. Stop the procedure – If there is too much sensitivity, then halt the process for a few weeks until the sensitivity subsides. In most people, this is enough to take care of the sensitivity issue. Desensitizing toothpaste – You can use desensitizing toothpaste to deal with sensitivity. The active ingredient in desensitizing toothpaste is potassium nitrate. Dentists advise using desensitizing toothpaste instead of the regular toothpaste for two weeks before resuming the whitening process. Lower the whitener concentration – Higher peroxide content increases the chance of sensitivity. Tooth sensitivity is directly proportional to the concentration of the whitening gel. Use a gel with lower concentration when you resume the whitening process. Whitening products have varying levels of peroxide content. Carbamide peroxide gels range from 10 to 44%. A 10% carbamide gel gives good results and has minimal side effects. Irritation of the gum tissue is also a common side effect. Whitener or the bleaching tray itself is responsible for gum irritation. Gum irritation just after the bleaching procedure is normal, but if it persists, then you need to halt the procedure for the next few days till the sensitivity stops. 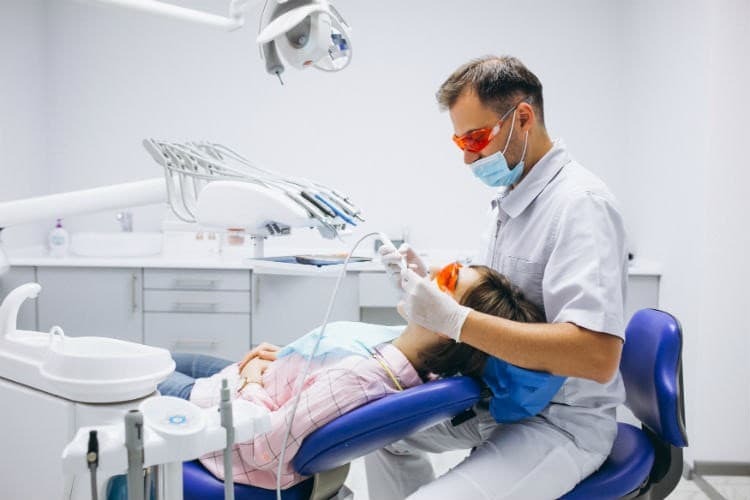 Use custom-made trays – When you opt for in-office bleaching, your dentist ensures that the bleaching agent makes contact with only your tooth surface. So it is always advisable to go to the dentist for the bleaching of teeth. In case you go ahead with the whitening procedure at home then use custom-made trays instead of stock trays. When you get your bleaching kit from the dentist, he will give you custom made trays which fit the teeth and end just above the gum line. Stock trays which are available over the counter are usually bulky and tend to cover the gum tissue along with teeth. Custom made trays are customized, and hence the edge of the trays can’t rub against the gum tissue to irritate the gums. Wipe away the excess gel –After you insert the tray inside the mouth, wipe away excess gel which escapes from the tray and onto the gum tissue. You can use a toothbrush or your finger to clean the gel from the gum tissue. In most of the cases, the irritation resolves on its own by the time you go for your next session. If the irritation doesn’t resolve, then wait till it does and after that use a whitener having a lower concentration of peroxide or use the whitening gel less frequently. 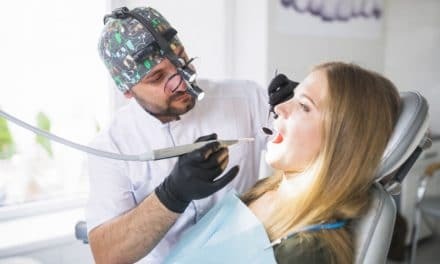 Dispense only the required amount of whitener in the tray and use custom trays with reservoirs to minimize the amount of whitener you swallow. Sometimes the bleaching gel may bleach teeth surface unevenly to give a splotchy appearance. This side effect is due to peroxide content being higher than the optimum amount. If you use an ill-fitting stock bleaching tray, then there can be uneven whitening due to deficiency of bleaching gel in some areas and excess in some other parts. In case you are using whitening strips, and the strips don’t cover your entire tooth surface then you will have spots of white only in areas where the strip came in contact with your tooth surface. In anterior teeth, the thickness of the tooth close to the biting edge and the thickness of the tooth close to gum line are different and hence the initial shade of white can be uneven. The tooth closest to the biting edge is mostly enamel whereas near the gum line the tooth is composed of dentin and enamel. The tooth achieves uniform appearance after the biting edge of the front teeth reaches the limit beyond which it will not whiten any further. By the end of the procedure, the portion closest to gum becomes even with the biting edge.